GREAT VALUE- PERFECT FOR FIRST TIME HOME BUYER OR INVESTORS! GET READY TO FALL IN LOVE WITH THIS CORNER LOT HOME! HOME BOAST- 2 ORIGINAL BEDROOMS 2- BATHS AND AN ADDITIONAL ROOM TO USE AS A BEDROOM OR OFFICE. 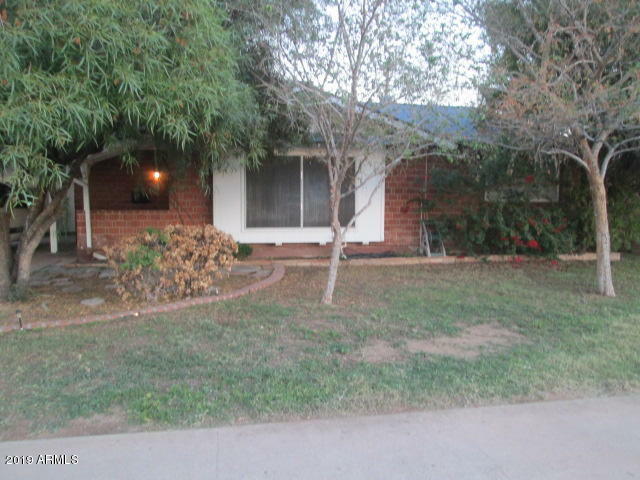 PATIO HAS BEEN CONVERTED TO AN ARIZONA ROOM TO ENJOY SUMMER NIGHTS- BIG KITCHEN WITH BREAKFAST ISLAND, GOOD SIZE LIVING ROOM-OVER-SIZED BACKYARD WITH A COVERED PATIO, RV GATE, GRAVEL LANDSCAPE AND LOTS OF POTENTIAL WONT LAST AT THIS PRICE BRING ALL OFFERS.